Ryan’s passion for craft beer comes from his dad, who, like his dad before him, brewed beer in the family basements of Vancouver. 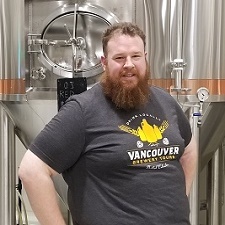 An advocate for supporting all things made local, Ryan enjoys sharing his passion for craft beer and introducing our guests to the breweries of Vancouver and the people who started them. When not leading tours, you can usually find him mountain biking and getting muddy on the North Shore mountains. Originally hailing from Montreal, QC Jeremie has been living in Vancouver since 2005. The original move west was for school-related reasons (most importantly the cheap student pass at Whistler Blackcomb). His love of the mountains, a perfect place for a delicious can of craft beer, has kept him here and you can often find him snowboarding, hiking, camping, fishing or snowshoeing in our lovely backyard. He loves travelling the globe and is always on the hunt for the next quality craft beer find whether it is in Fernie, BC, Japan, Korea Mexico, France, El Salvador and Ecuador! 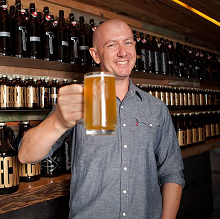 As a veteran of the tourism industry, a move to Vancouver Brewery Tours was an easy decision. Keep it fresh and hoppy! Cam’s adventure into the Craft Beer world started almost a decade ago right here in British Columbia with a Phillip’s Brewing Long Boat Double Chocolate Porter. 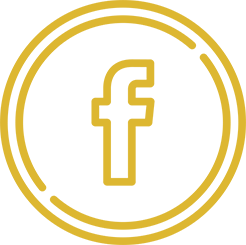 As an avid Craft Beer hunter to find the best beers Cam has travelled in all directions from Oregon State to Prince Edward Island. This has often caused Cam to buy extra suitcases to bring back Craft Beer. 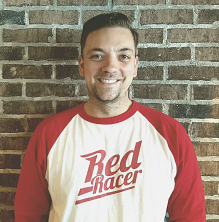 Attending festivals and volunteering at events and connecting with others who love Craft Beer all over this Province has shown him how amazing this industry is. Cam decided to explore education in Craft Beer by attending a course at Pacific Institute for Culinary Arts called Serious Beer which inspired him to start home brewing. What he really wanted was to work in the Craft Beer industry so Cam went to Simon Fraser University to take the Brewing Essentials Program. 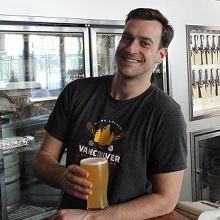 Recently graduated Cam is excited to share his knowledge and passion of BC Craft beer as your guide. Living and working in the heart of Yeast Vancouver for the past 10 years has meant that Cyndi didn’t have to go to the beer, because the beer came to her. Quite literally from 2012 onward there were three or four new craft breweries opening just a short stroll or bike ride from her home or work. It was ‘love at first flight’ and stopping in to sample new breweries quickly became a passion. 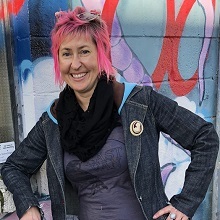 The op-pour-tunity to hop on the Vancouver Brewery Tours team as a Tour Guide was a natural flow from her career as a Recreation Therapist and years of leading people on recreation experiences as a mountain biking instructor, snowboarding instructor, and yoga teacher. When not leading tours, you can find Cyndi riding her bike around the city and sampling a craft brew or two along the way. Current Favourites: Oh so hard to choose! Anything Brett or Belgian, or Belgian with Brett, or anything sour. Sean proudly came to Vancouver from the frozen lands of Winnipeg MB to thaw out in 2007 and never left. His first introduction to craft beer was a case of Blue Buck a friend brought over for a Star Wars marathon in college. And like the planet of Alderaan – he was blown away. Ever since he’s made craft beers and cocktails a passion. He comes to us from 8+ years in the bar industry, focusing on cocktails and spirit making. He’s been accredited with a certificate from Maison by Pernod-Rickard in association with École Hôtelière Lausanne. When not enjoying craft beers or leading tours, Sean focuses on his love of furniture design with his business East&West Design Co. In the last year he’s been able to fuse all his passions; making supplies and decor from breweries and restaurants all over Vancouver as well as custom wooden bar tools and mugs. Current Favorites: Tofino Blonde Ale, Persephone Best Bitter and Twin Sails Sticke Alt.